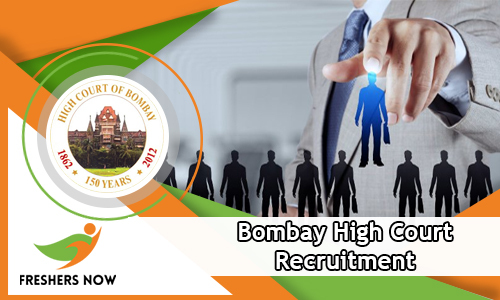 Bombay High Court Recruitment 2019 Notification for 54 Law Clerk Posts is released. Through this Advertisement, officials asked, the contenders, to submit the application starting from 8th January 2019. 23rd January 2019, is the final date. Now, the applications have to be submitted in the Offline Manner. Well, the Address to send the Filled Application form is shared at the end of this article. Well, you can apply for this Bombay High Court Law Clerk Recruitment 2019, only if you are eligible, and have had all the Qualifications correctly. If not all such applications will be rejected. In such cases, you can always check more other Government Job Notifications on our site Freshers Now. 2.3 How To Apply For Bombay High Court Recruitment 2018-2019? Now, if you are from Maharashtra State and looking for the Government Jobs, then this information about the Bombay High Court Recruitment 2019, available in this article, is for you all people. Apparently, the officials of the Bombay High Court are looking for the Candidates, who completed their Degree in Law from any Recognized Institute or University in India, as the Educational Qualification. Now, if you are not having all the Qualifications, correctly, then your application will be rejected. So, keep that in mind while applying. We are even providing a table, here in this section. And that table consists of all the information that an individual should know. Well, the officials of the Bombay High Court are looking for the Candidates, who complete their degree in law from any Recognized Institute or University in India. Well, an individual need to clear the Interview, as part of the selection process, to get placed in the organization. Officials are offering Rs.20,000/- Per Month as the salary for the hired candidates. And if you are eligible, and have had all the Qualifications correctly, then proceed to apply. Recheck and submit the application form, before the final date, by sending it to the following Address. Like the information, we included the Bombay High Court Recruitment 2019? Well, then share this with all your Job Job searching Buddies. The entire details related to Bombay High Court Recruitment 2018-2019 is updated in this article. So, this is the best job opportunity for the candidates those who are looking for Maharashtra Government Jobs. We are here to give the overall information related to starting date, closing date, education qualification, application fee, selection procedure, pay scale, a procedure to apply for 8921 Clerk, Peon/ Hamal and Steno Vacancies and more. Therefore, just scroll down the current post and grab all the important data which we have shared in the below sections. Moreover, the authority of Bombay High Court is happily announced the bombayhighcourt.nic.in Recruitment 2018-2019 Notification. Meanwhile, we are here to notify the necessary details about Maharashtra District Court Recruitment 2018-2019 for the candidates. Therefore, all the interested contenders can check the entire Eligibility Criteria thoroughly. So, willing people are adviced that you have to apply through Online Mode before 10th April 2018. Finally, the Bombay High Court Recruitment 2018-2019 is out. Now it is the perfect time to apply for 8921 Clerk, Peon and Steno Vacancies 2018-2019. Well, a huge number of job seekers belong to Maharashtra State are very curious to know about the further Application Procedure details. For all those contenders, our main advice is you have to just follow the information which we have equipped in this post. Moreover, we have collected this precious info from the Official Bombay High Court Recruitment 2018-2019 Advertisement. Without late just concentrate on the whole Bombay High Court Openings 2018-2019. The authority is specified that after the final date no application forms will be acceptable. Only eligible people should apply for Maharashtra District Court Recruitment 2018-2019. After the availability of Bombay High Court Recruitment 2018-2019, a vast number of job fighters has started searching for Official Notification. However, most of the candidates are failed in finding the official Notification. So, to reduce the search burden of people, here in this post, we have attached the Advertisement which is officially released by Bombay High Court on their web portal that is bombayhighcourt.nic.in Or bhc.gov.in. Therefore, we all know that the benefits of Government Jobs. So, without doubt, check the entire eligibilities. If you are eligible then apply for Bombay High Court Openings 2018-2019. Also, remember that before submitting your Online Application Forms you have to pay an application fee separately. We don’t know about the fee details. Those who are eager to know the Application Fee data are suggested to recheck the Official Maharashtra District Court Recruitment 2018-2019 Notification. Coming to the Age Details, all the contenders those who are about to apply for Maharashtra District Court Recruitment 2018-2019 should have Minimum 18 Years and Maximum 38 Years. All the applying people should follow the age very strictly. Meanwhile, the Age Relaxation is also applicable to the competitors. So, to get the Age Relaxation info go through the below sections and verify the official Bombay High Court Recruitment 2018-2019 Advertisement. This is the golden chance for the contenders those who had done their 7th/ 10th from recognized Board are eligible to apply for Bombay High Court Recruitment 2018-2019. All the candidates are suggested that you have to satisfy yourself with the mentioned Education Qualification. To get the post wise qualification simply click on the official notification which is available at the end of the current article. Many of the applying people are anxious to know about the Selection Procedure details. So, we inform the contenders that no need to worry about the selection details. Because, the selection is purely based on Screening Test, Local language Typing Test, Activeness Test, Cleanliness Test and finally Interview. So, the selection procedure is very easy. Remember that you have to participate in the screening test too. For your better preparation, our team has gathered and equipped the Syllabus and Previous Papers for a screening test. Without late after completion of the application procedure you have to go through the material and work hard to secure good marks in the screening test. Also, one more advise to the competitors is you can check the selection dates on Official Bombay High Court Recruitment 2018-2019 Notification. To check the Age Relaxation go to the official Bombay High Court Recruitment 2018-2019 Notification. Those who have done their 7th/ 10th from the recognized board is the education qualification. Remember that you have to participate in the above rounds. Refer the official Bombay High Court Recruitment 2018-2019 Notification for Application Fee information. How To Apply For Bombay High Court Recruitment 2018-2019? Refer the entire article attentively and gain the complete knowledge about Bombay High Court Recruitment 2018-2019. Moreover, visit our website Freshers Now frequently. Also, we are providing the accurate information so without late keep your whole concentrate on our website. And don’t miss the latest Recruitments which are available on our website.